Purdue University researchers have developed soft contact lenses that not only correct vision but also can monitor glucose and medical conditions and be used for ocular pain relief or drug delivery. Sensors or other technology previously couldn’t be used for soft contact lenses because the technology required a rigid, planar surface incompatible with the soft, curved shape of a contact lens. 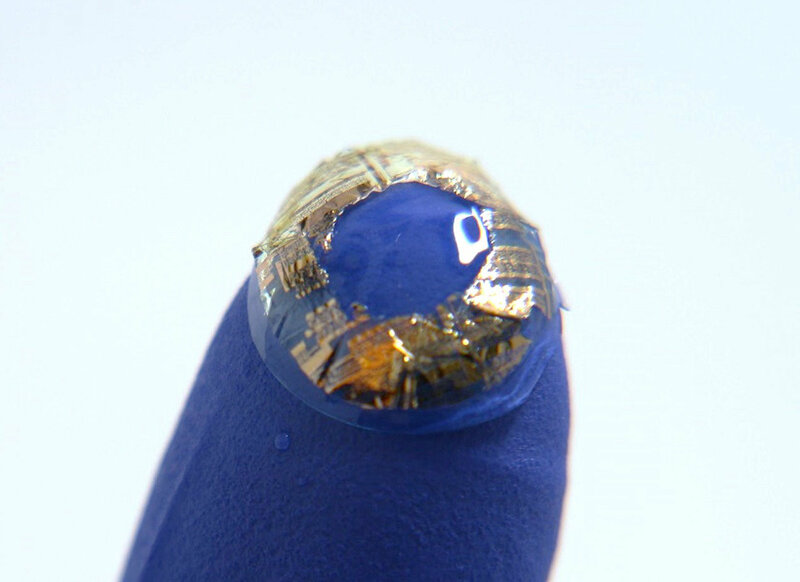 The Purdue University team, led by Chi Hwan Lee, an assistant professor of biomedical engineering and mechanical engineering, created a novel method for attaching sensors and other small devices to soft contact lenses. The sensors embedded on the soft contact lens detect the levels of glucose, lactate and pH value in a continuous manner, providing information associated with diabetes, hypoxia and underlying ocular tissue health. With the ability to combine soft, silicon-based contact lenses with a variety of different semiconductor devices, numerous advanced eye care applications are now possible.